There can be various additional fees and costs associated with industrial properties for sale in Milton Keynes that you might not have considered. There are factors to consider, such as business rates and how much it may cost to heat the premises. Being aware of these factors will let you find the right industrial unit for sale in Milton Keynes. 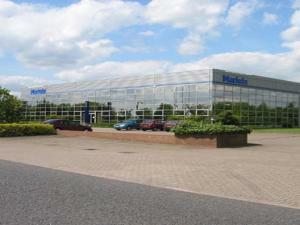 An industrial property for sale in Milton Keynes can have a wide variety of uses. It's possible you require an industrial property for light manufacturing purposes, for example. You may require an industrial property in Milton Keynes for an exhaust fitting centre. 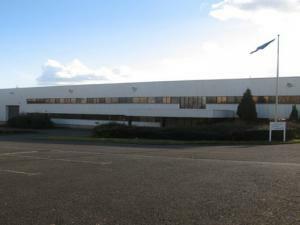 Whatever type of industrial property in Milton Keynes you're searching for, MOVEHUT can help. You should be aware that all commercial industrial properties in Milton Keynes carry a classification pertaining to their general usage. When searching for an industrial property for sale in Milton Keynes, you should check that it carries the right classification. Start your search for industrial unit for sale in Milton Keynes with MOVEHUT once you've learned the classification code that matches your planned usage. Why not begin your industrial unit for sale search here at MOVEHUT. You can browse in a number of ways, such as by property cost and size to filter and refine your search. Get your search started today, and find an industrial property in Milton Keynes that ticks all the boxes. 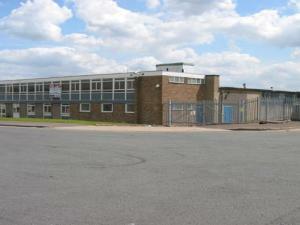 Locate an industrial property in Milton Keynes that makes sense with your budget requirements. MOVEHUT lists hundreds of industrial properties to buy in Milton Keynes at a cost to suit your price range, just search our listings in Milton Keynes to check availability. We want to help you find an industrial property for sale that matches both your needs and your budget, so search MOVEHUT's extensive listings to take the pain out of your Milton Keynes property search. The most vital factor to consider when searching for an industrial property in Milton Keynes is its location. In a perfect world, your industrial unit location would offer a good mix of local services and ease of travel for your staff. You can find a perfectly located industrial unit in Milton Keynes with the help of MOVEHUT. If you decide to book a viewing for an industrial property in Milton Keynes, then you will need to remember a few things. Of course, you want the property to be in good condition, so be sure to check the quality of the exterior. Ensuring any air conditioning units in the property are in a working condition can prevent a lot of hassle if you choose to buy the property in Milton Keynes you're viewing. No matter what type of property you're looking to buy, use MOVEHUT's tips to help make your industrial unit search in Milton Keynes easier. If you're searching for an industrial property for sale in Milton Keynes, you should take into consideration whether it will be suitable for light or heavy industry. The manufacture and assembly of electronic goods would be classed as light industry. On the other hand, textile production and food processing would fall into the class of heavy industry. Whichever type of property you require, MOVEHUT can help you find an industrial property for sale in Milton Keynes that will match your requirements.